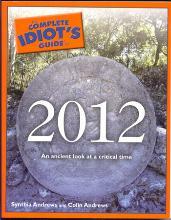 2012: A Self Fulfilling, Staged Prophetic Event? answer our question as to the source of the staged event. air. Are UFOs making these? My short answer is yes they are, but they are not the E.
T.s that so many of us, including the Vatican now, would have us believe. we are focused on. The History Channel has a show entitled The Nostradamus Affect. opinion there is no comparison. They are not even in the same league or ball park. markers throughout time and are now using those markers as part of their deception? The mark of the beast – look at Digital Angel. Wars and rumors of wars – How many wars are going on as of this post? Pestilence – H1N1 and the plague in the Ukraine that has killed upward of 300 people. War in the Middle East – Ezekiel 38, or Psalm 83.
the month of July 2009.